When conditions are this incredible, it’s hard to make bad pictures. And so this day (the day after Christmas, 2009) is one of the most productive photographic trips of my life. 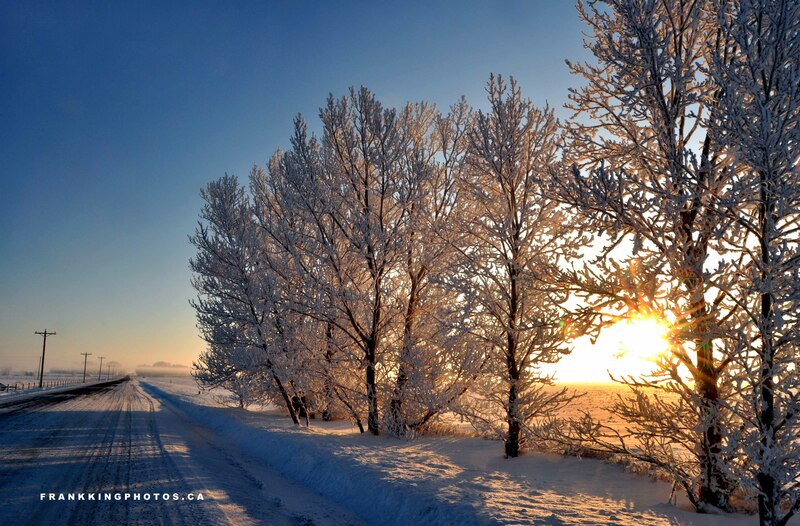 The western Canadian prairies are incredible in winter, especially during a frosty sunrise. Nikon D90, tripod, polarizing filter.